Target Marketing Group strives to deliver fully integrated marketing solutions for our clients that will allow you to streamline your marketing projects. We offer full commercial printing services to help you build your brand. TMG continues to offer critical marketing solutions that allow you to present your brand and your message in the most efficient and effective manner. We look forward to the opportunity to present our print management services to you. Ask your TMG Account Executive to price your next print job for you. We can handle all of your print needs as well! We focus on one thing: making your print project a success for you. From making the hardest technical files work to hitting your timeline or recommending a unique custom option, we get it done. We provide unmatched value, made possible by our high volume, state of the art manufacturing operations. Our wide range of custom finishing capabilities will help you bring your marketing campaign to life! We offer a variety of custom packaging solutions. From simple one color printing to enhanced full color graphics. 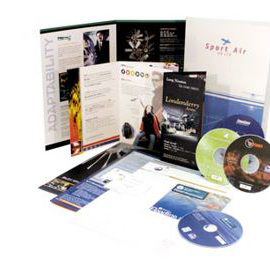 Let us put together a complete show package for you for your next trade show. 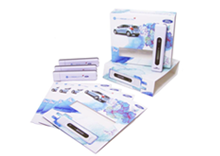 Premiums: Seminar Kits Objective: Increase awareness of new technology/product launches. 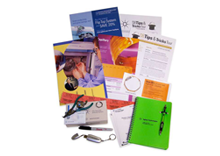 TMG manages and produces contents of seminar kits that are distributed throughout the country for seminars that Agilent conducts. The primary information source is a pre-loaded USB drive. Results: Efficiency and cost savings knowing that seminar kits are consistently being delivered on time and with all critical information for the seminars. Using a USB drive saved the client money in the printing process as well as in the freight costs. 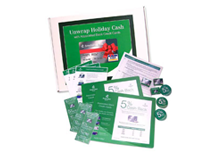 Premiums: Mints, Pins, Pens, Counter Mats, Printed Collateral Objective: An awareness program for the bank branches, showcasing a new product from Citi Bank Cards to help increase sales within the bank branches. TMG created a custom box with a sound chip announcing the product as well as all of the premiums included in the box. Each box was drop shipped to over 325 branches. Results: The regional banks had a 3% increase in credit card sales. © 2018 Target Marketing Group. All Rights Reserved.